Pam contacted me at the beginning of the summer to see if I would be available to photograph her and her Leslie's wedding at Chapel in the Pines in Sycamore, Illinois. I was excited to be able to and she even moved the time a bit so I could be there! I had never been to the venue before but it was just gorgeous. 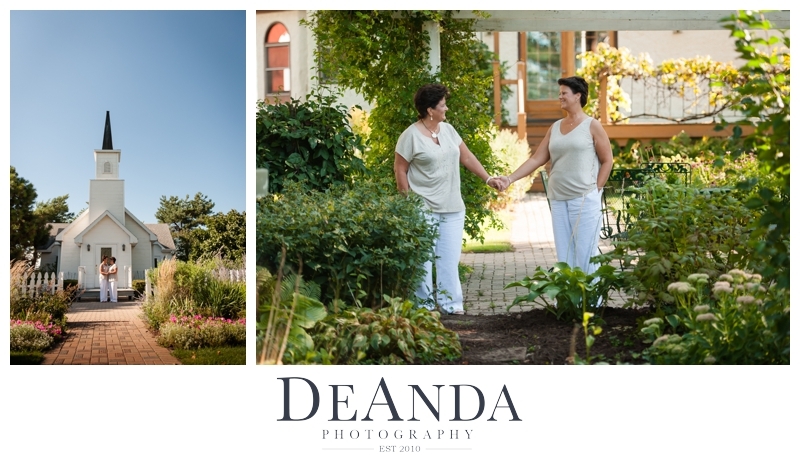 The perfect setting for them as they both love the outdoors, trees, and flowers. The weather was perfect, a gentle breeze and not too hot and not too cold. Their love for each other was easily seen. They warned me they weren't good at having their photos taken but I quickly realized that was not the case. They were naturals and through these images I hope you can feel a little bit of the love that there was that day.